Amsterdam is becoming my second home, I've been 5 times now in total and twice this year already. It's a 45 minute flight which makes it the perfect weekend break. Even though it's still a city I find it so peaceful and relaxing. I wasn't planning on going again this year but when Chris Brown's tour tickets came out, Amsterdam was the nearest option. The concert was amazing as expected and it seemed like the whole of London was there too! The next couple of days we spent walking around Dam Square, we did attempt to go to The Anne Frank House but the queue was over 4 hours long! 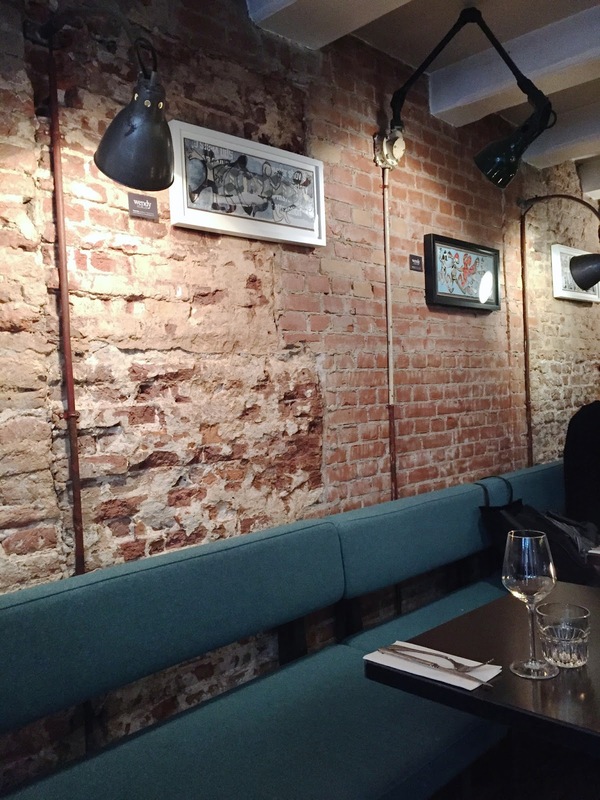 I found a couple of great food/drink spots whilst I was out there so I thought I would share them with you. 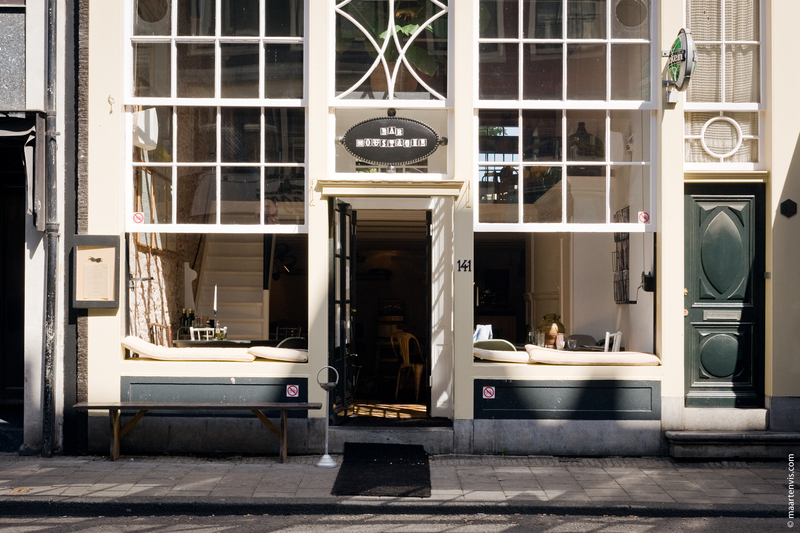 If you guys read my last Amsterdam post you'd remember that I recommended a restaurant called Bar Spek. 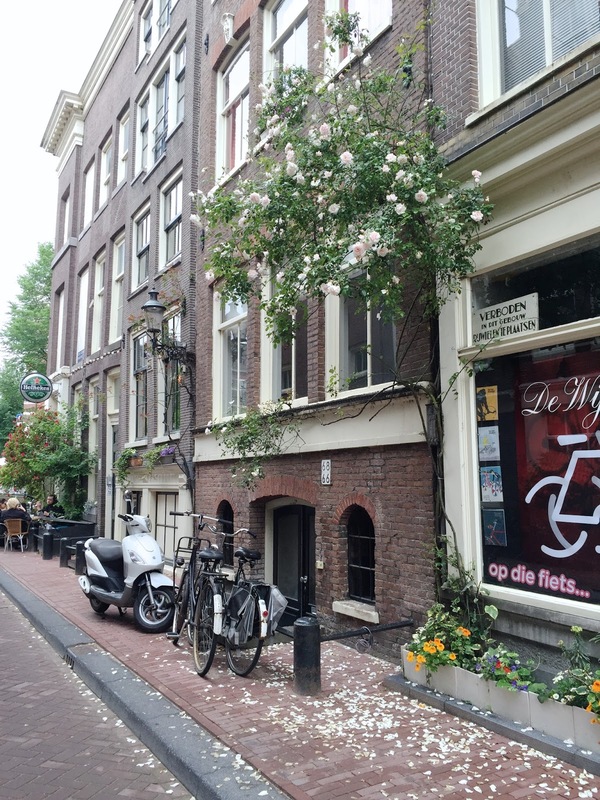 Bar Moustache is actually owned by the same person and is located just 5 minutes away from Dam Square. It's a cosy rustic style cafe that serves authentic Italian dishes so we decided to go for dinner. 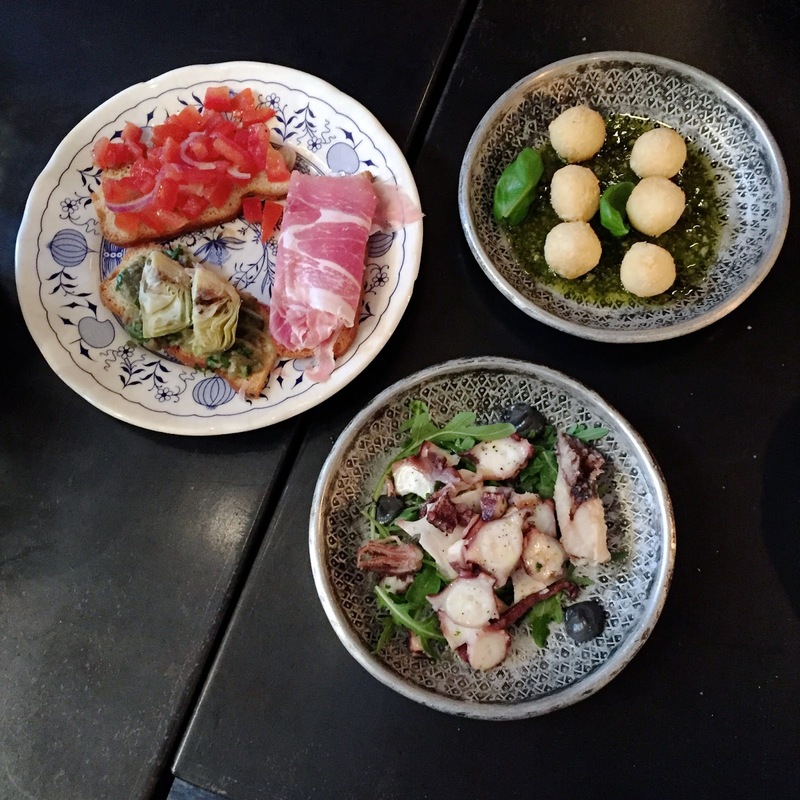 For starters we went for the mozzarella bites, octopus and bruschetta to share between us. They were all so delicious, the tomato bruschetta was my favourite. 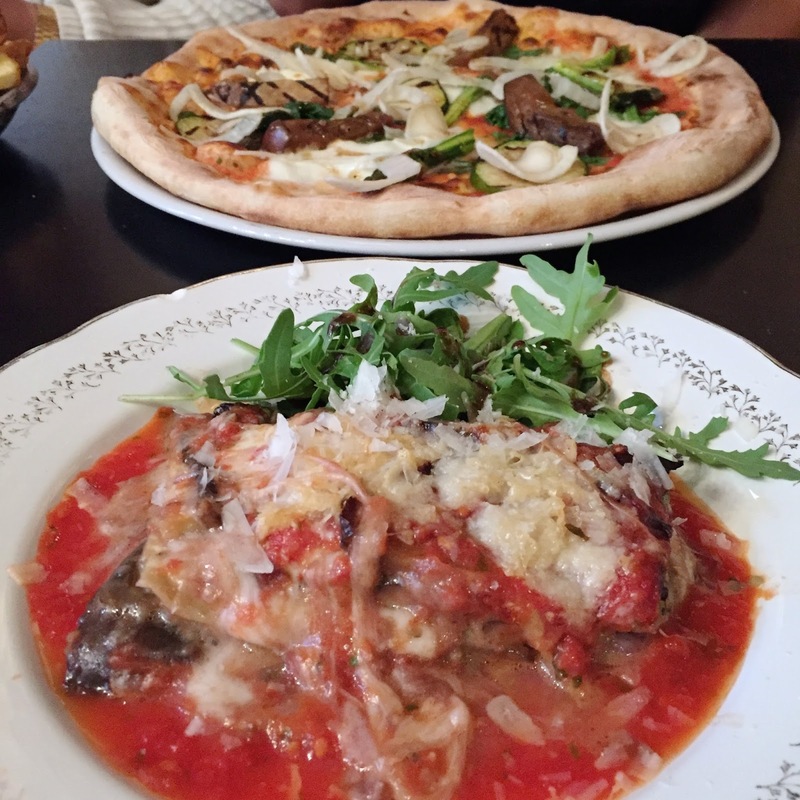 For mains I went for the Melanzane Parmagiana which is like a lasagna but instead of the pasta sheets it's aubergine/eggplant. I loved this dish so much that since coming home I've attempted to make it 3 times - it's still not as good as the one I had there but I'll keep trying! We all went for the chocolate fondant cake for dessert (obviously) and thoroughly enjoyed it. 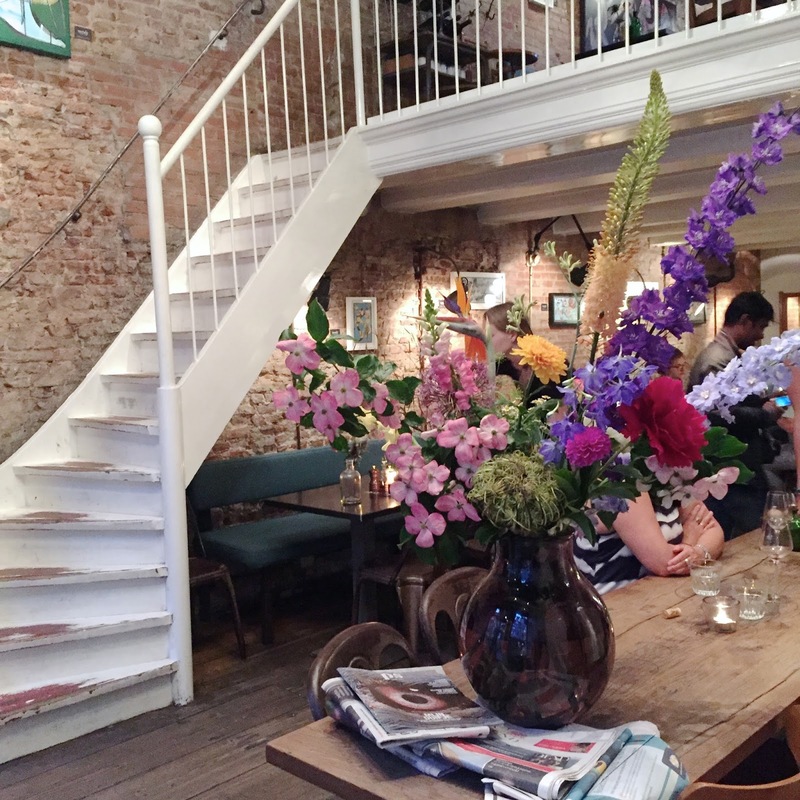 I loved the chilled atmosphere at Bar Moustache and the staff were so warm and friendly. The prices were very reasonable too. It's an all day cafe so I definitely recommend you to go for breakfast, lunch or dinner! 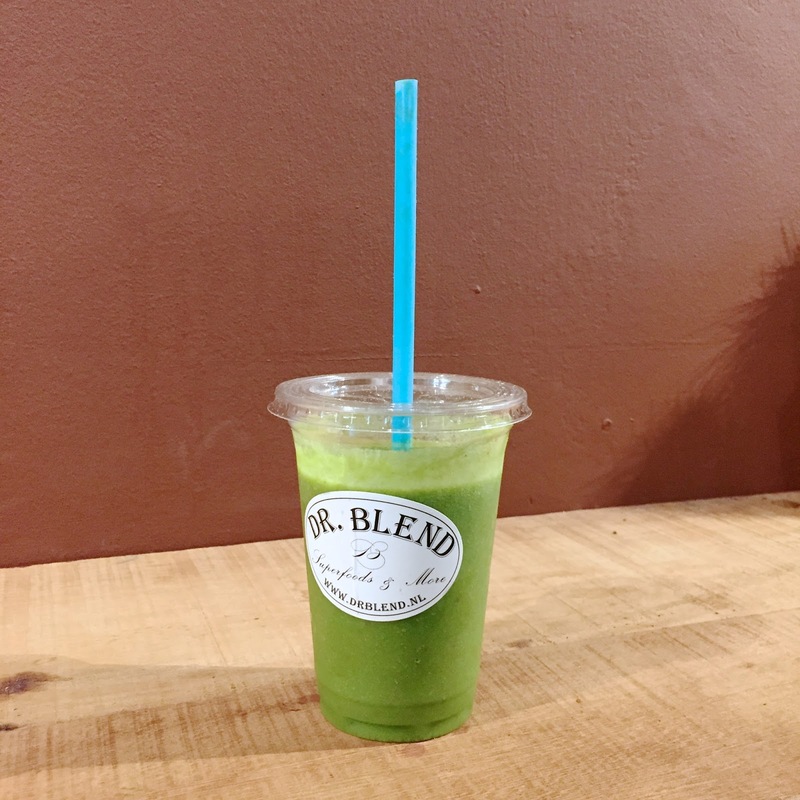 As I was trying to be healthy for the most part of this trip I felt like a visit to a smoothie/juice bar was needed. 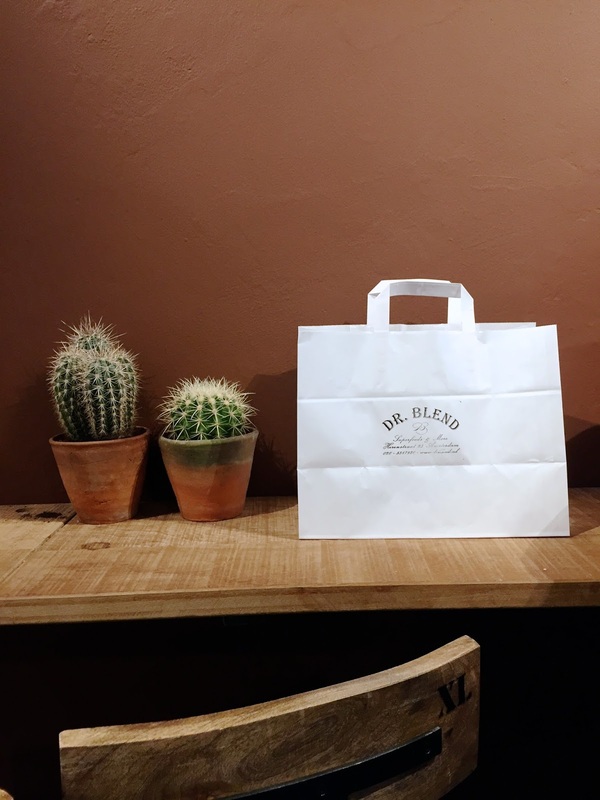 Dr Blend is also located close to the centre but further north. 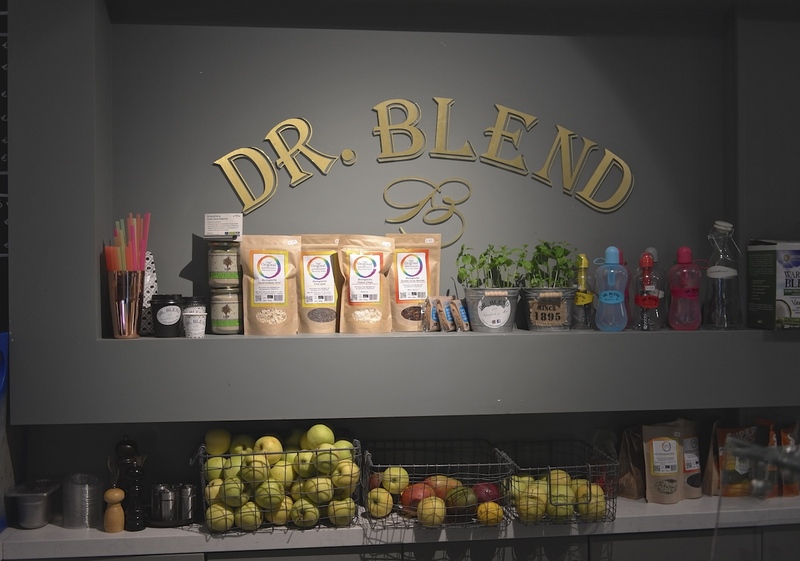 All ingredients are fresh and organic and they have so many juices and smoothies to choose from. I ended up going for the Sweet Green Juice as sometimes green juice can be quite bitter. It was really refreshing and sweet. I'd definitely recommend the humous wrap too, small but tasty!